Tripura Sundari Temple is a famous temple in Udaipur, Tripura. It is located at a distance of 55 km from Agartala. Tripura Sundari Temple is the oldest temple in the Udaipur district. It is one of 51 Sakti Peetha and it is where Sati's ‘'right foot' fell at Matabari. Tourists all around the year flood the temple. According to myths, it is believed that Lord Vishnu had cut off Mata Sati into fifty-one pieces with his ‘Sudarshana Chakra’. The places where these pieces fell are known as ‘Shaktipeeths’. It is believed by the folklore that the right foot of Mata sati had fell at the Tripurasundari Temple. It is a tortoise shaped temple, thus it is also known as the Kurma Pith. This original temple was constructed in 1501 AD by Maharaja Dhanya Manikya of Tripura dynasty and is dedicated to Kali Ma. 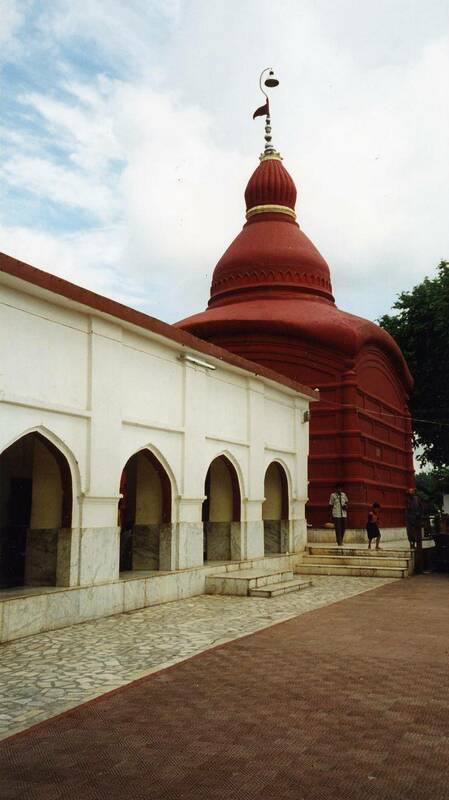 Tripura Sundari Temple, a 2 meter long stone idol of Maa Kali is kept. The town is sanctified by the river Howra and Maa Tripureswari, the Holy Goddess. The Tripura dynasty is one of the longest continuous running dynasties of world today and beaten only by the Mikado dynasty of Japan.